J.K. GILL & CO'S. 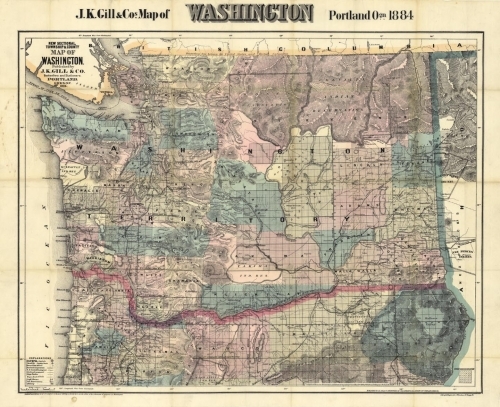 MAP OF WASHINGTON. PORTLAND OGN. 1889. 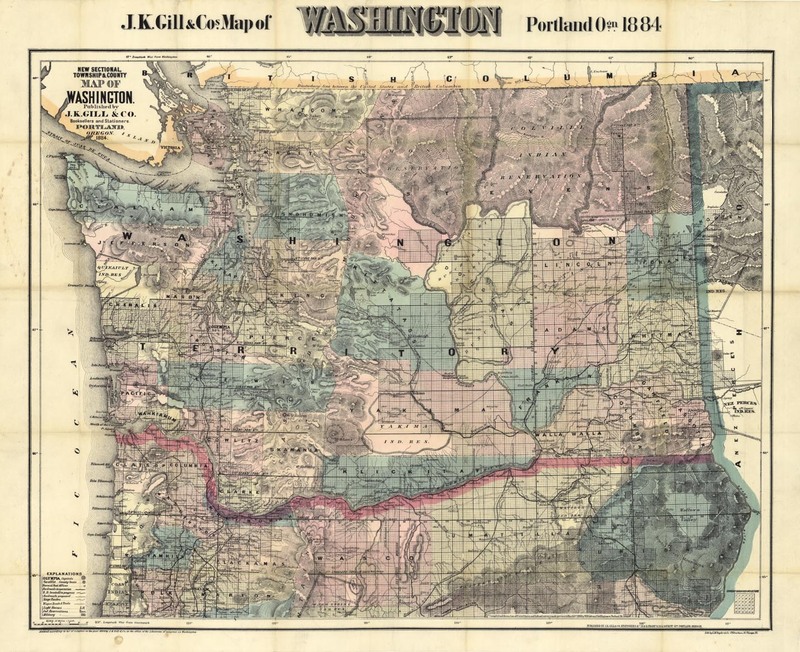 NEW SECTIONAL, TOWNSHIP & COUNTY MAP OF WASHINGTON. Image size 21 1/8 x 27" (53.8 x 68.7 cm) plus upper title and margins.